Discuss your options with an insurance professional and find out for sure if Guaranteed Life Insurance is your only choice. Unfortunately there are some groups of people who are too risky to insure through conventional markets and have to go to a guaranteed life insurance product. These groups have a significantly higher likelihood of dying prematurely. People with serious medical conditions are an example of a segment of the population that insurance companies are unlikely to insure under a standard life insurance policy. For people who find themselves in this category, but still want the protection offered from life insurance – guaranteed life insurance may be there only option. With guaranteed life insurance, coverage in most cases can be obtained with answering just a few medical questions with no medical examination being required. 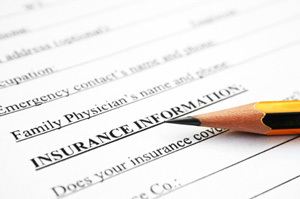 To start, the premiums you pay are significantly higher than other life insurance policies. In some cases it takes a while before the death benefit coverage kicks in. If you die during the first 24 months the insurance company may simply be required to reimburse the premiums instead of paying out the death benefits. Are you considering guaranteed life insurance because of your medical condition or health issues? It is advisable to first speak with an independent life insurance broker about your options. Often people who get these types of policies assume that they would not be able to get another type of life insurance and end up spending much more on their premiums as a result. Discussing your options with an life insurance broker is the only way to know for certain this is your only choice. Solutions Financial saves you time and money.